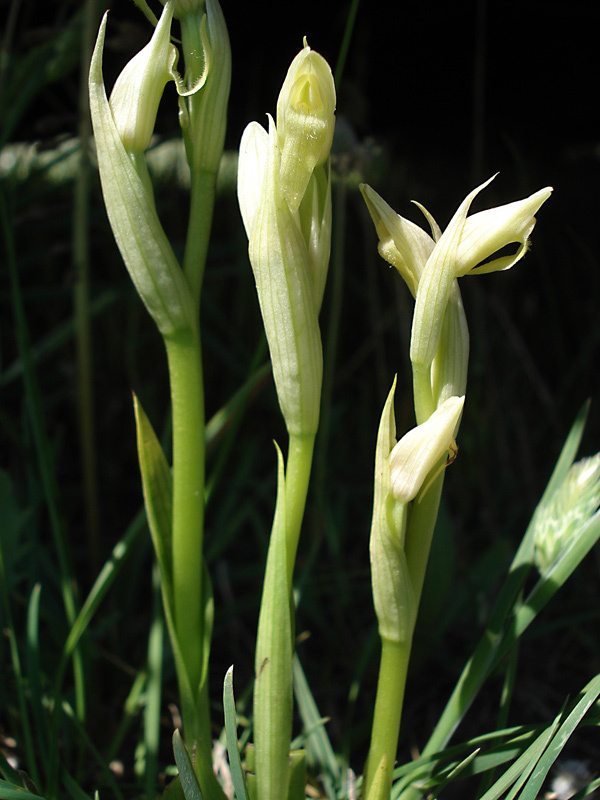 Serapias parviflora is a slender plant, 10 to 30 cm tall. The 4 to 7 linear-lanceolate leaves are green to bluish-green. 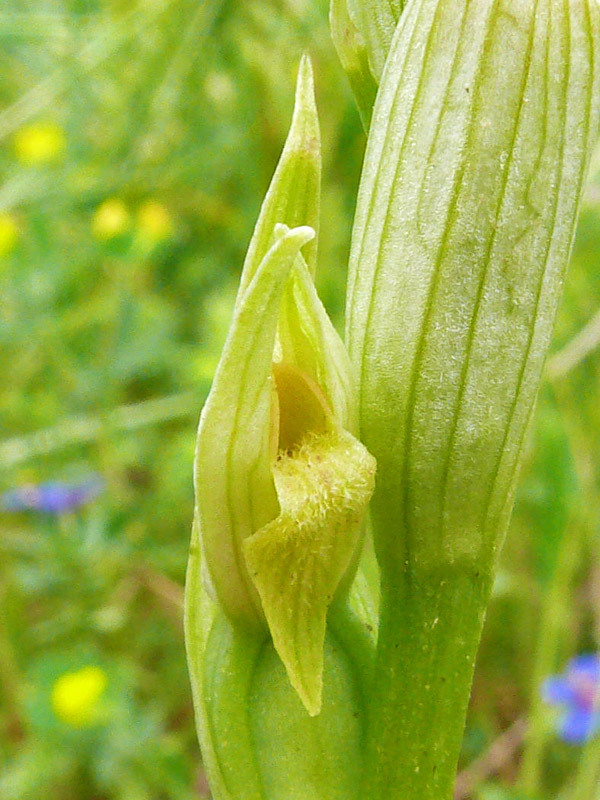 The stem carries 3 to 8 very small flowers with sepals and petals forming a helmet which is directed upwards. 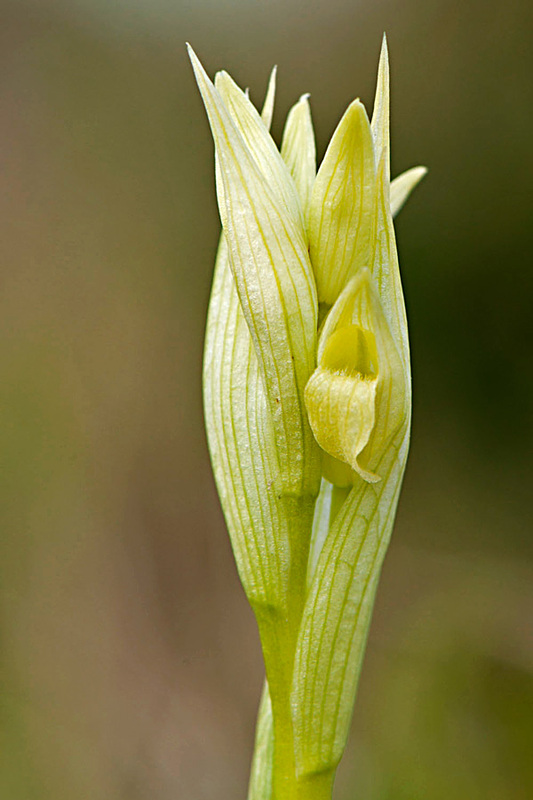 The labellum is very short and strongly reflexed, the lateral lobes projecting from the hood. 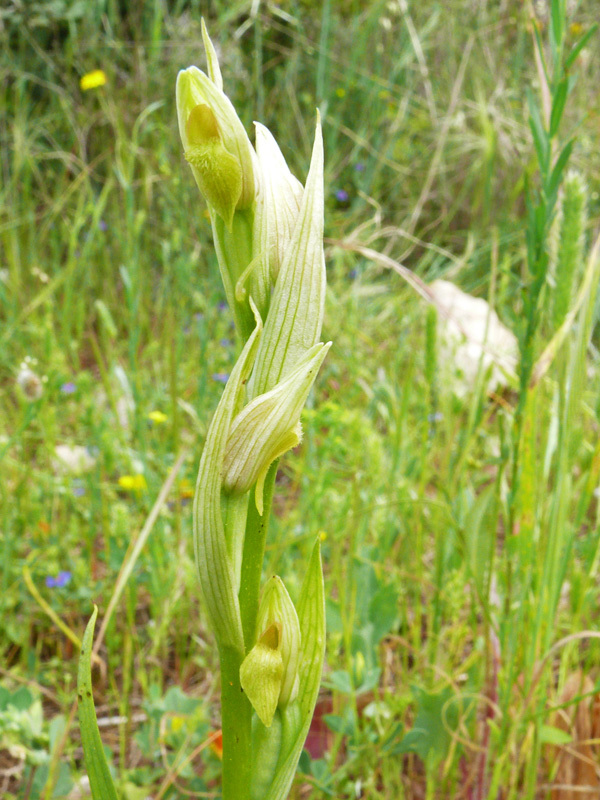 The plant was first described by Filippo Parlatore (1816-1877) in his Giornale di Scienze, Lettere e Arti per la Sicilia in 1837. The flowers are normally reddish to purple-violet. Plants without any colour are very rare. 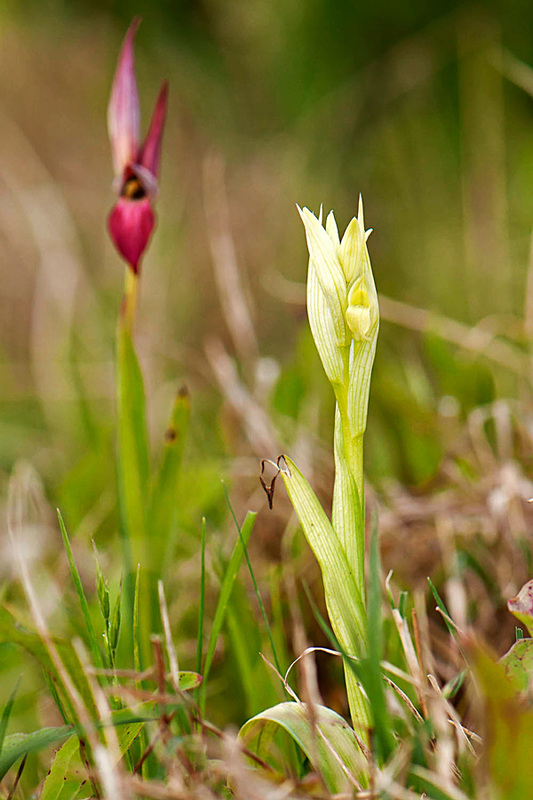 Serapias parviflora can be found on dry grassland. Bloom is from March to May. The species can be found in the Mediterranean from Portugal to the Aegean islands.